Aircast A60 Ankle Brace – Great for Tennis! Ankle injuries can occur quite frequently while playing tennis. A tennis player’s chances of rolling an ankle are very high, due to the side to side movement and sudden changes in direction while on the court. Many professional tennis players wear ankle braces while playing. In fact, British tennis star Andy Murray wears an Aircast A60 ankle brace. Like many tennis players, he’s sprained his ankles multiple times and now wears a tennis ankle brace for prevention and added support. 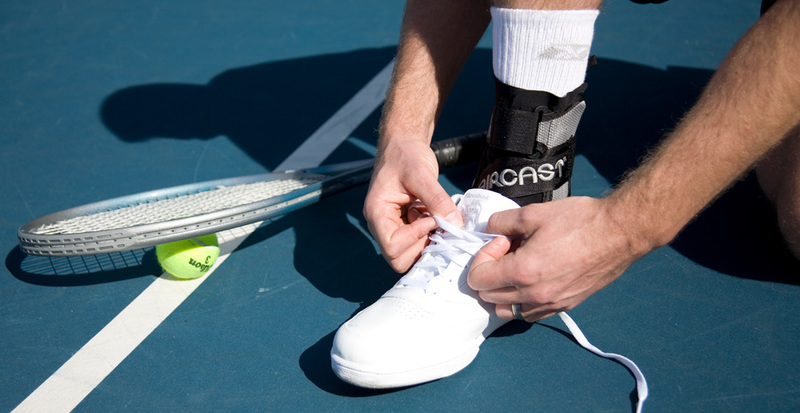 Get ready for your next tennis match with an Aircast A60 ankle brace and you can start preventing ankle injuries!